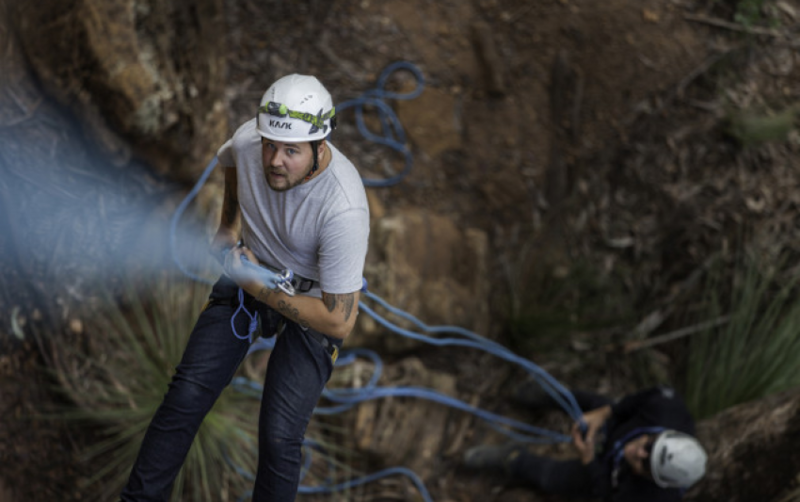 Abseiling or Rappelling as it is sometimes known is an important technical rope skill that some wilderness travellers consider to be an exciting adventure sport in its’ own right! 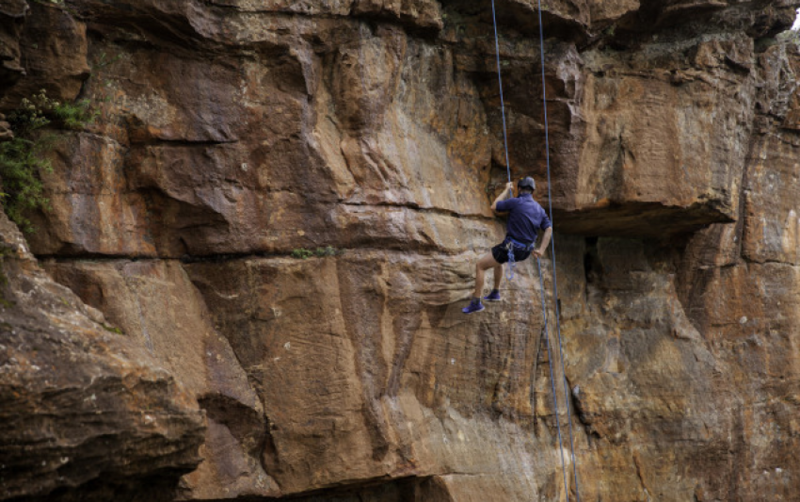 Many classic BME Adventures use abseiling as a method of travel and exploration. Want a concise introduction to abseiling? 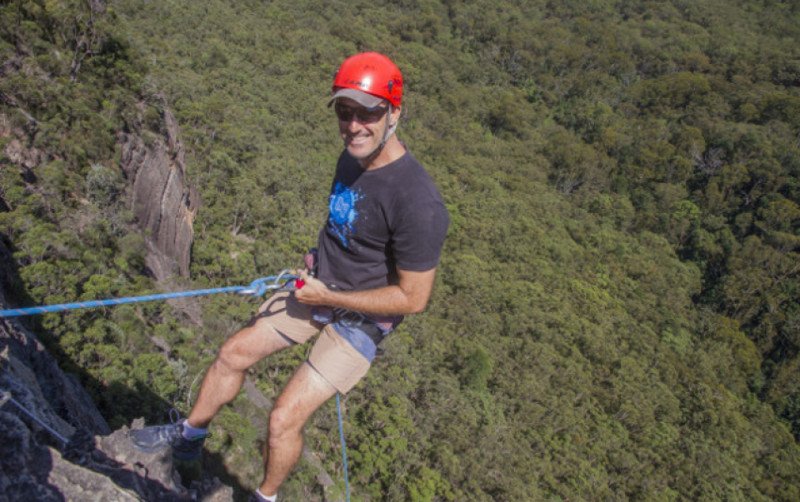 Our half-day abseiling course is great for getting a taste of abseiling, and you'll be back in Katoomba for lunch! Our one-day adventure abseiling course is designed for participants with little or no previous experience. Remember - "If you can walk, you can abseil! " We commence the day with a safety briefing and training session using practice abseils at our specially selected abseiling area. The skills we cover include the fitting of harnesses and the use of descending devices, familiarisation with the important safety procedures and how to use the correct abseiling skills and techniques. While we encourage fun and adventure your instructors will also teach you the important skills you need to go abseiling safely anywhere! In the early afternoon we will head out to tackle more challenging abseiling descents. The longer abseils are offered on a "challenge by choice" basis and you are free to go as high as you dare! 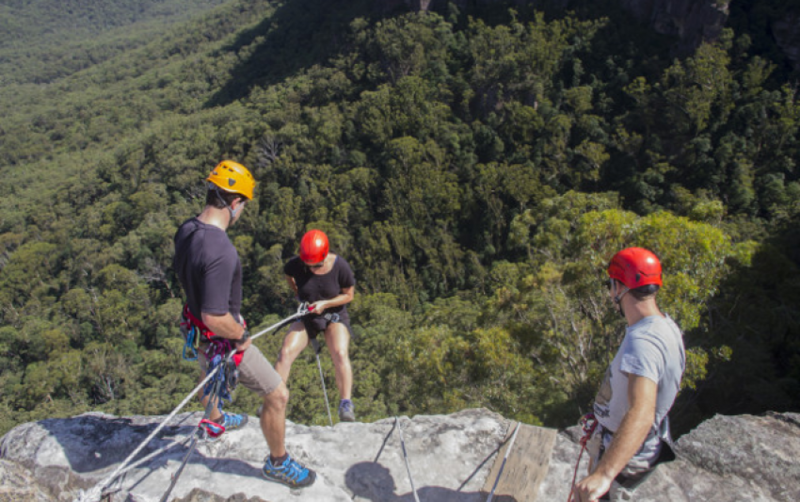 With world class views, and amazing sandstone cliffs, the Blue Mountains is perfect for multi-pitch abseiling- From top to bottom, this abseiling experience will have your heart racing! 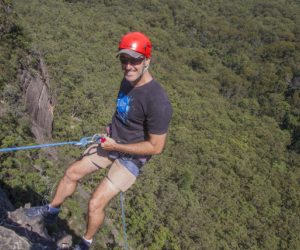 We conduct a variety of Multi-pitch Abseil Expeditions, including Maltia Point, Malatia Wall & Boar's head. If you're after one of these in particular, please let us know and we'll see what we can do for you! We begin on the top of the sandstone plateu, and after a short walk we will abseil straight over the edge! After numerous and varied abseils, we will find ourselves in the valley- far below where we began our descent. From here it's a steep uphill walk back to the car through beautiful cool-temperate rainforest. 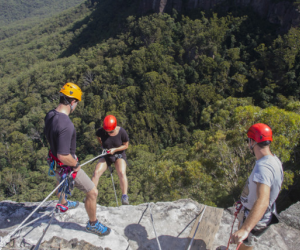 This abseiling experience is a full day outdoor adventure suitable for participants with previous experience.